This post includes information for ride-sharing tech startups & entrepreneurs. Rounded up a few important solutions of GoKid, which are recommended to consider during carpooling app development. From pick-ups to drop-offs instantly, and getting kids to the schools in the early morning or to other activity classes is not at all easier for parents. Well, there’s an app for Uber for Kids helps to get kids from home to school to piano lessons and back home again without parents’ help. In recent years, transportation has become easier. Thanks to the emergence of taxi booking apps. Before moving ahead, let’s quickly check a few important stats of on-demand transportation services. 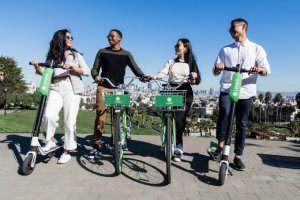 This is due to the fact of increasing the adoption of on-demand transportation services like carpooling, car rental, e-hailing services, and station-based mobility. Additionally, such services enable people to pre-book, modify or cancel their taxi reservation through mobile apps like Uber, Lyft, and Gett. GoKid, carpooling app for kids, has emerged in order to let people get rid of the problems while using transportation services. It provides efficient carpooling program, making the transition easy and family-friendly. Launched in 2016, New York-based GoKid provides schools and parents to manage day-to-day transportation schedules. The carpool app has analyzed the problems of working parents and provided solutions in terms of carpooling services. With total funding amount of $1.6M, GoKid carpooling app provides solutions, which make carpool setup and management easy. This is an app like Uber for kids addresses parents and caregivers of the 50 million school children in the United States, and 30 million are in youth sports. As a ride-sharing startup, if you’re interested in developing mobile app like Uber for Kids, we’ve curated a few important solutions of GoKid, a carpool app, which can be considered during carpooling app development. There is a slew of companies, which have been offering services in taxi booking industry. Whether it is about office commute or hiring cars for other reasons, carpooling app like GoKid makes things easier in carpooling. 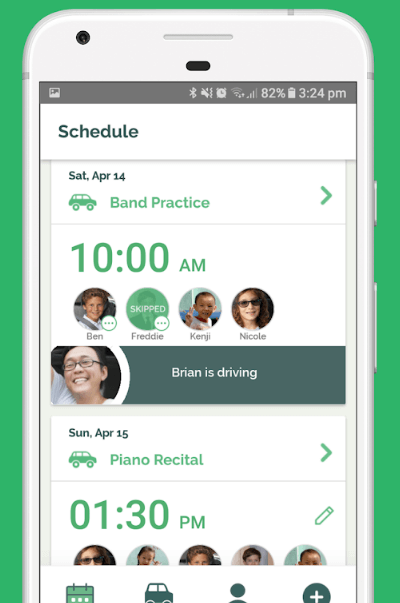 Carpooling app makes scheduling and tracking rideshare easier. 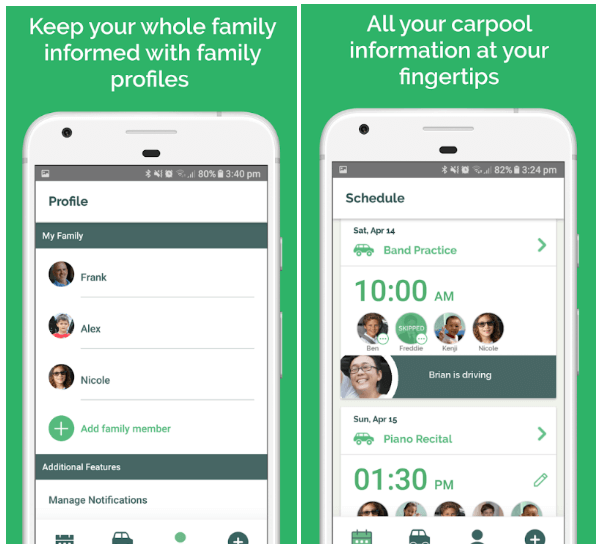 The carpool app like GoKid helps families in carpooling. It also helps to stay organized by providing solutions in terms of sending quick & easy invitations, regular reminders, and optimizing routing to pick up and drop off each child. This app like Uber for Kids, GoKid, has a sneaky way to engage working parents, who have been looking for optimal solutions in carpooling services. Furthermore, it does not provide solutions for kids, but it provides solutions beyond this. 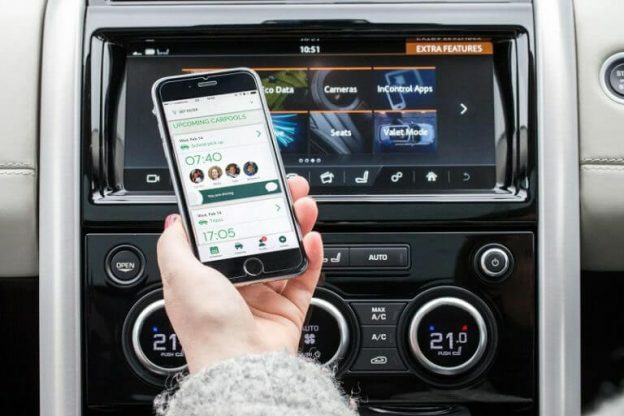 This app embraces a feature that lets users to automatically remind users (parents) when their turn to drive or when they need to send their children out to join the carpool. If you want to create a rideshare app like Uber for kids, you’ll need to identify the problems and take appropriate actions for them. In this way, your audience can identify the difference in your carpooling services, and your ride-sharing business will stand out. There’s hardly anyone who does not seek comfort. Well, the concept of ride-sharing has already embraced comfort in terms of providing ease to ride-sharing users. Well, there is a rising need for kid transportation services. And, all you just need to provide solutions for users (parents) who seek comfort in terms of pickup and drop-off of their children. There’s no such thing as true security in ride-sharing services. If you are planning to develop a platform for carpooling services, make sure not to forget to provide a secure platform for carpooling services. 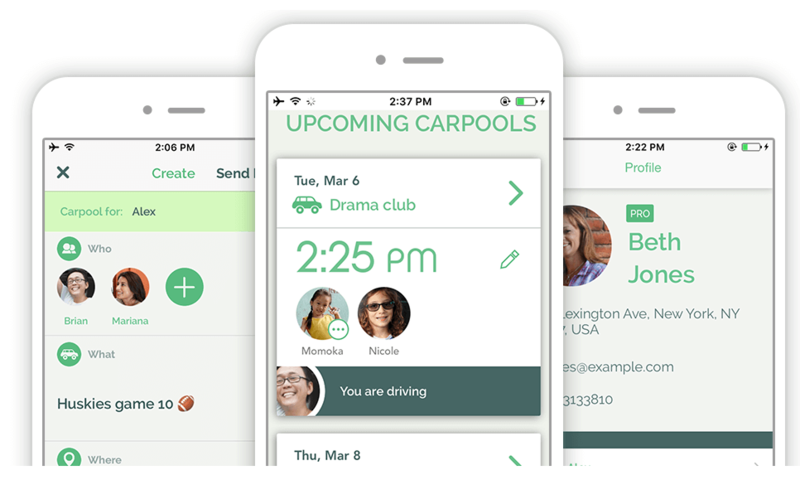 The carpooling app like Uber for kids, GoKid, allows parents carpool with the families they trust. In this way, you can also give freedom to choose trusted families for carpooling services. In order to provide a secured carpooling platform to your users or parents, you’ll need to offers a carpooling booking app that embraces true security and comfort. An app like Uber for kids has emerged as a revolutionary in parents’ lives. Talking about Gokid, carpool app for kids has become a revolutionary in the world of working parents. If you are all ready to take a plunge to develop an app for on-demand kid transportation services, you’ll need to integrate a set of features that actually add value to the lives of parents. 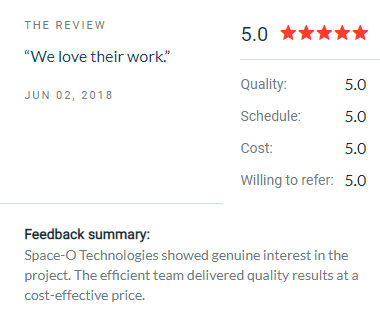 Here, you can check our client’s review, which is based on our performance. We’re a leading mobile app development company and have already developed over 3500 mobile applications in diverse categories. You’ve just checked out a few important solutions by GoKid, which you as a ride-sharing or carpooling startup can consider during carpooling app development. However, if you may have faced the challenges while embarking with your carpooling app idea or have a new idea, which you want to transform into reality, then you can cross-verify or discuss with us. 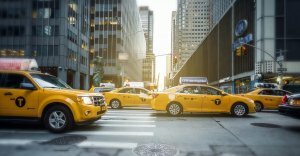 We are one of the top taxi booking app development companies and have already developed over 54 Uber-like applications with unique features & functionalities like GPS real-time tracking, schedule trip, in-app payments, trip history, cross-platform ability, in-app messaging, online support, and social media integration. 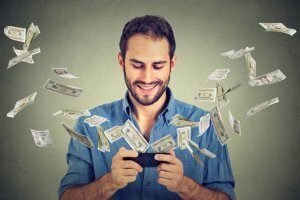 In case, if you still have any query or confusion regarding the cost of making an app like Uber for kids, mobile app development cost estimate in India for developing an app like GoKid, mobile app quotation sample, how to start app development, how much does it cost to hire an app developer, Uber-like app development cost, how to make money with an app, Indian app developers cost for hiring taxi booking apps or how long does it take to create an app like Uber for Kids, then you can get in touch with us. One of our sales representatives will revert to you as soon as possible. The consultation is absolutely free of cost. This page was last edited on April 17th, 2019, at 9:37.